M&O is proud to partner with the following companies. Source for royalty-free stock images, media and design elements. They offer vector illustrations, videos, music and sound effects and Flash. Constant Contact’s leading email marketing, online survey and event marketing tools. Today, more than 500,000 customers worldwide trust Constant Contact to help them connect with their audience. Register your domain/hosting Today! Check the availability your desired domain thru this link and let M&O design your website. Register your .COM Domains with GoDaddy from $8.99! And get also your Web Hosting and put your site in expert hands. Plans include unlimited storage and bandwidth with FREE setup. They are a distinguished leader in stock photography and a major supplier of high quality digital images at unbelievable prices. Use Shopify to create your online store. Start your free 14-day trial today! Impress your customers with a beautiful online store and a secure shopping cart and Manage your orders, contact customers, track sales trends, and more. 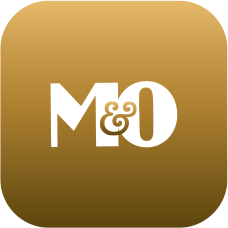 M&O can Help!